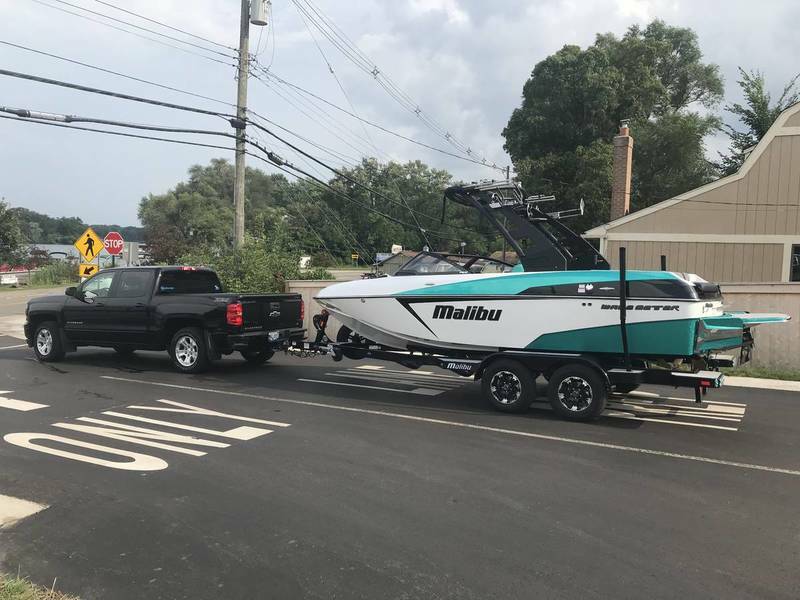 2019 Deliveries, Post up Your New Malibu/Axis Boats! Post those new ones up! Pics for extra credit! Hey I get to post in this! @ahopkinsVTX, it's nice to see when a person is really passionate a one something and it works out well for them. 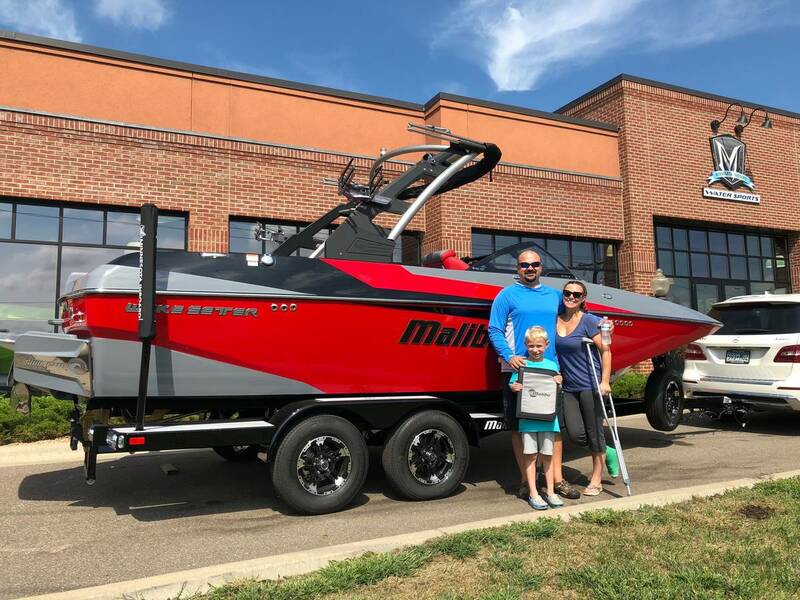 Good luck enjoying that beautiful new boat with your new expanded family. Hey Guys, this is my first post. 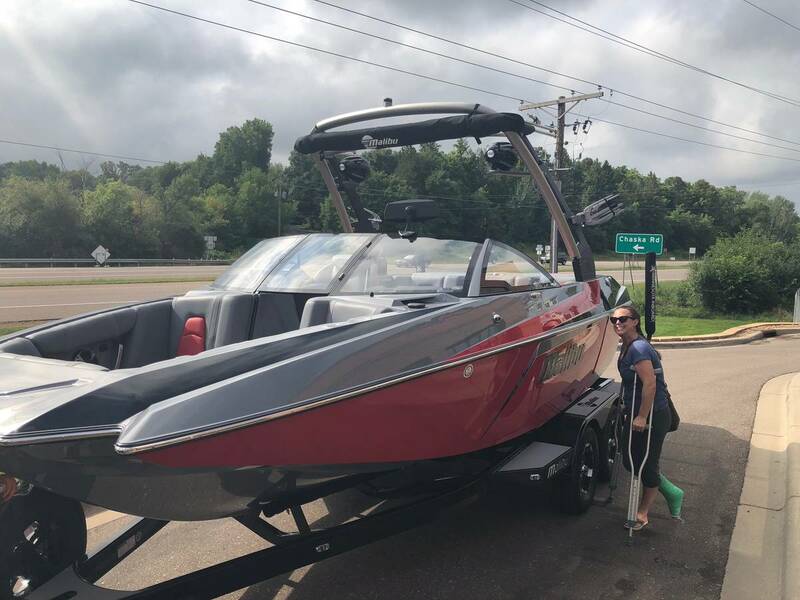 My wife and I picked up our 2019 21MLX on Saturday! I've heard of guys twisting their wives arms to get into a boat but first time I've seen doing an ankle. At least she looks happy about it now. I wonder if our kids know how lucky they are, beautiful boat. Congrats! Great looking boat. Man, I LOVE the new Graphite color. Thanks, I was sick of white vinyl looking dingy and staining easily. Nice boat. what color is this grey (interior)? Is it graphite? Ha, yeah it made launching it pretty interesting! I think the same thing about my kid, he has no idea how lucky he is! Yes, all graphite with white piping. I also, don't like the chopped up patchwork quilt look that can happen if you get too many colors going on. 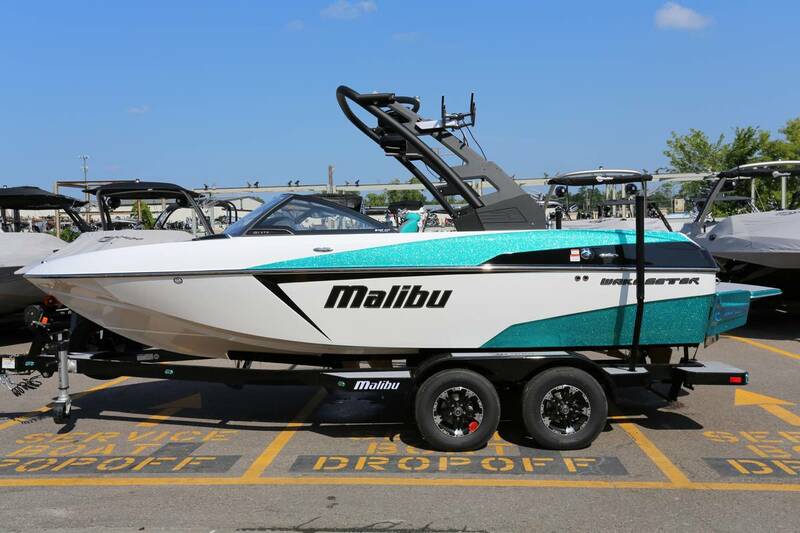 So based on the responses it looks like Malibu has only sold 3 2019's to TMC members so far? I find that hard to believe. Funny, I have never thought of the solid color interior. I really like that look and the outside is beautiful. Good job picking that color combo. Good looking boat! Like you said, you either love or hate the color. Definitely love the Axis simplicity! 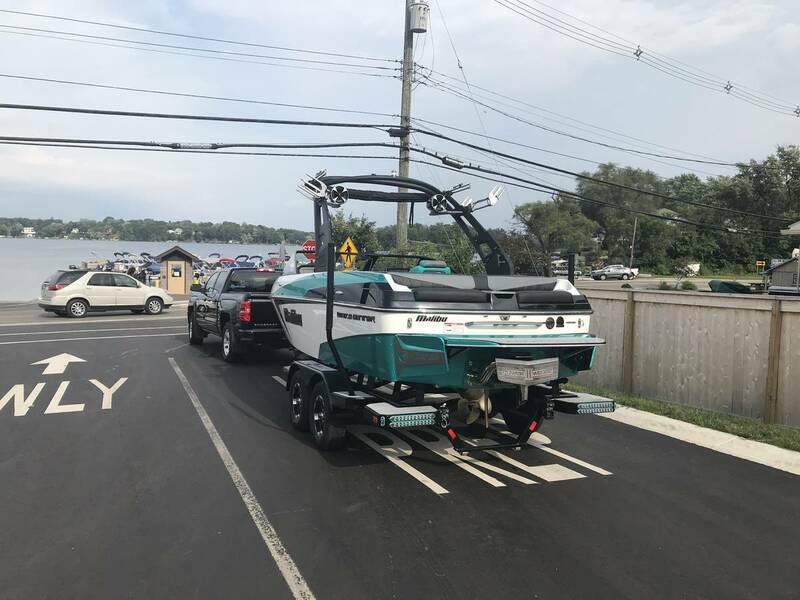 Have safe and fun during the remaining boating season!